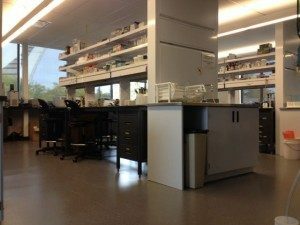 We use four shared molecular laboratories in the Biodiversity Centre. 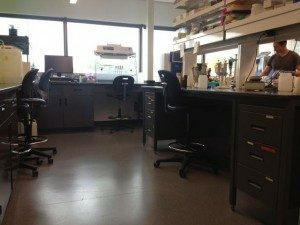 These include labs dedicated to DNA and RNA extraction, PCR, gel electrophoresis, and sequencing. 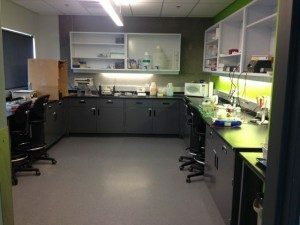 Separating these component tasks in different spaces reduces the risk of contamination and helps keep the work space, shared by several research teams, clean and organized. 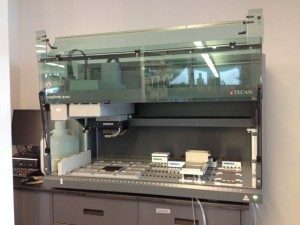 The labs are equipped with the full range of molecular research equipment, including three liquid handling robots. 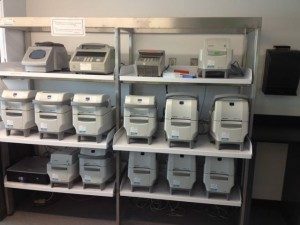 In our laboratory, we have a bioinformatics and phylogenetics workstation (Apple Mac Pro – 12 core) and a computer for working with molecular data. 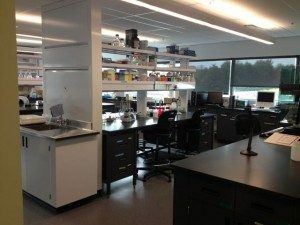 We also have access to Calcul Québec‘s cluster.